If you are looking for the PERFECT tender, juicy, homemade chicken meatball, you have found it! 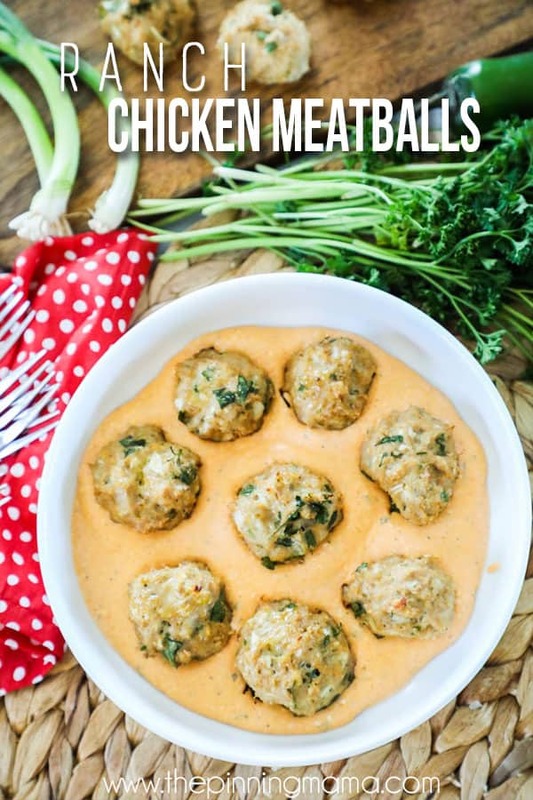 These Ranch Chicken Meatballs are absolutely delicious and everything that a meatball should be! They are perfectly plump and loaded with flavor so you can eat them on their own, or smothered in our favorite side to go with them, Creamy Buffalo sauce! These make a perfect quick and easy homemade dinner, or are a real treat for an appetizer, especially during football season! Serve these homemade chicken meatballs with or without the buffalo sauce for a crowd pleaser! I called these little bursts of flavor Buffalo Ranch Chicken Meatballs, but really they should probably be called Ranch Chicken Meatballs with Buffalo Sauce. Since that was such a mouthful I stuck with the first for simplicities sake, but what the difference really means to me is that these are super family friendly! These meatballs are loaded with delicious ranch flavor and my kids just devoured them. One of my kids is sensitive to spicy foods though so I was easily able to serve them as just ranch meatballs for one and then the rest of the family had the delicious buffalo sauce to top them off. These are 100% delicious enough to eat on their own, but just go to a whole extra level when you add the sauce. Especially if you are a buffalo lover! We eat these a variety of ways as a meal, but they are also perfect for serving for an appetizer or heavy hors d’oeuvres. As I mentioned earlier these are as perfect for an appetizer as a full meal. For appetizer, I like to place the Buffalo Ranch Meatballs on a board or tray and spoon a dollop of sauce on top of each one then insert a toothpick or a cute mini fork. This makes them easy to grab and eliminates people dripping sauce as much. You can also keep them on warm covered in a crock pot with the chicken meatballs and sauce combined. If you are serving them as a meal, which we love to do, here are a few ideas on how to serve them and what to serve them with to round out the meal. If you have other ways you love to serve this recipe that I missed, please let me know in the comments. I would love to give it a try next time I make these! Over grains– I love to just serve some of these chicken meatballs and a scoop of sauce on a big pile of long grain rice like jasmine. If you prefer, wild rice, quinoa or farro would work well too! Potatoes– This recipe goes great served right on top of a bed of mashed potatoes like these instant pot mashed potatoes. You can also make a baked potato and then just half it, smash it a little and then spoon some sauce and meatballs right on top if you want to keep it simple. The buffalo ranch chicken meatballs flavors go especially well with potatoes! With a side salad– serve these Buffalo Chicken Meatballs right next to a nice side salad to get your veggies and your protein all on one delicious plate. Zoodles– Serve these homemade meatballs with a scoop of buffalo sauce right on top of zucchini, sweet potato, or carrot noodles. These all make a great pairing to keep the meal hot and hearty, but lighter on the carbs and calories. Garlic Toast– If you aren’t adding a big slice of buttered garlic toast in with this dinner so you can soak up every last drop of creamy buffalo sauce with these ranch chicken meatballs, you are missing out on some real deliciousness! Sides– In addition to the serving ideas above, a few sides I like to throw in with these are roasted cauliflower, sautéed green beans, and broccoli slaw. This recipe is made from scratch, but is still very quick and simple to prepare. You can find the FULL recipe card at the bottom of the post, but before that I am going to put some of my tips, tricks and frequently asked questions for this recipe here so they are easy to find and if you have anything come up before or while cooking, hopefully I answer it here! If not, make sure to drop me a note in the comments below! 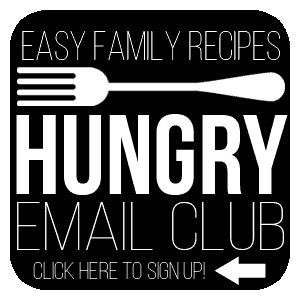 Q: Can I use ground turkey or ground beef instead of ground chicken? A: I have successfully made these Ranch Chicken Meatballs with ground turkey several times and it makes a good substitute for chicken. I have not personally tried this with ground beef but if you decide to, please let me know your results in the comments! Q: Can I make these Chicken Meatballs less/more spicy? A: Only the sauce is spicy. The meatball itself is not spicy but loaded with delicious ranch flavor. If you want the sauce to be more or less spicy, you can add less buffalo sauce for a milder sauce or more buffalo sauce for a hotter sauce. 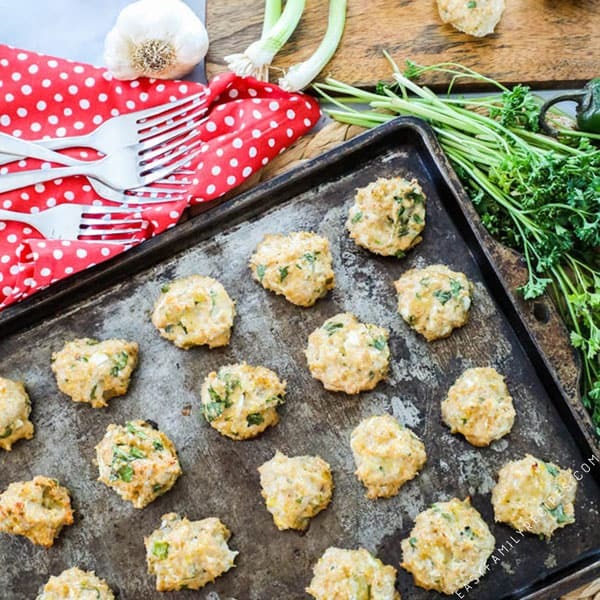 Q: Can I omit the parsley, bread crumbs, or another ingredient in the chicken meatballs? A: I work to develop all of my recipes so that they have great flavor and texture. Each ingredient is thoughtfully added to the recipe to give that great result. If you don’t like one of the ingredients you can try a substitution or omission but I cannot guarantee how the result will be. Q: Can I make bigger or smaller chicken meatballs? A: Yes, you can change the size of the meatballs based on your serving needs or preferences. If you change the size of the meatball, the cooking time will change. Poultry should be cooked to an internal temperature of 165˚F. If the meatballs are smaller they will cook more quickly, and if they are larger they will take longer before they are done as a rule of thumb. If you don’t have one, a meat thermometer is super handy, and very inexpensive at the store, or on Amazon. Q: Can I freeze the leftovers? A: Yes! Leftovers will stay good in the refrigerator for 3-4 days or in the freezer for 1-3 months. At the end of the meal, if you find yourself with extras, you can pop them in the fridge or freezer and serve them again as is, or in one of these new ways! Buffalo Chicken Meatball Subs- pile these meatballs in a hoagie roll and top with sauce and cheddar cheese. Bake in the oven until heated through and the cheese is melted. Quesadillas- Slice up those meatballs and place them in a tortilla with a spread of sauce and a sprinkle of cheese. Grill each side to golden. Buffalo Chicken Meatball Pizza- Spread the sauce over a pizza crust then chop the meatballs and sprinkle on top with cheese and bell pepper and onion. Bake as directed for crust. Buffalo Chicken Meatball grain bowls- Pick your favorite grain and serve these in a bowl with your favorite chopped veggies, cheeses, and sauce. Heaven! 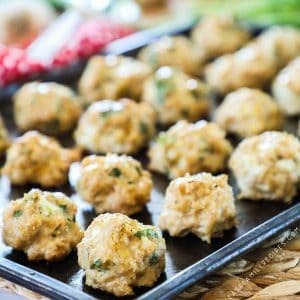 I really hope that you get a chance to try out these tender, juicy Buffalo Ranch Chicken Meatballs with your family or at your next party, potluck or gathering. 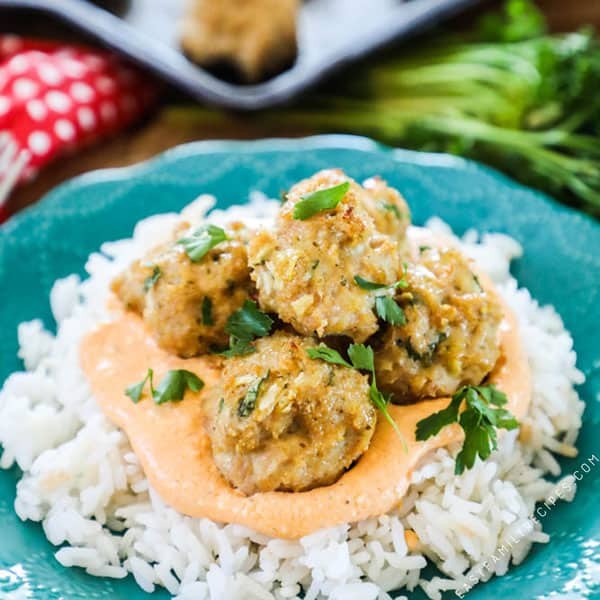 These tender ranch chicken meatballs are smothered in a to-die-for creamy ranch buffalo sauce for the perfect delicious dinner or perfect appetizer! They are easy to make and super family friendly for a crowd pleasing meal that everyone can enjoy! Mix the bread crumbs, egg, milk, garlic, onion, parsley, and ranch seasoning until well combined. Then work in the ground chicken until everything is evenly distributed. Roll into 2 inch balls and place on a greased cookie sheet. Bake for 40-45 minutes or until the meatballs are cooked through and reach an internal temp of 165˚F. In a sauce pan over medium heat, whisk together the cream cheese, butter, sour cream, milk, buffalo sauce, ranch seasoning, and parmesan until the cheese is melted and everything is combined and smooth, about 5 minutes. Once the meatballs are done, spoon them into the sauce and stir until evenly coated. Garnish with green onions and serve as an appetizer or over rice or greens as an entree. Enjoy! You can make meatballs bigger or smaller based on need. Cooking time will change based on size. You can use store bought ranch mix (I prefer Hidden Valley) or you can use my homemade ranch seasoning found here.